Last New Year’s Eve we flew to Buenos Aires and visited some of our favorite spots, and then flew further south to trek in Patagonia, landing in El Calafete and Ushuaia. Ushuaia is the the most Southern city in the world. We hung out with penguins on an island in the arctic territory, trekked on glaciers and saw lots of wildflowers. We followed that up with a few days in Uruguay hanging out at the beach near Punta del Este. Lots of new BREAKurban clients and fun projects! Landscapes, websites, branding, site selection for new construction, and even some printmaking. At long last we started working on our front yard! In the early spring we tore up our front yard and parkway and re-landscaped and added more terraces to the yard. We installed an 8-zone drip irrigation system for our front yard and another 8-zone system for our backyard. All the irrigation is controlled by our home automation system, and we can also access the devices from our iPhones. We planted a lot of trees, natives, succulents, herbs and raised beds for veggies. I set up grow lights and heat mats in my studio and started about 100 types of heirloom seeds for our garden (+ I gave a lot away to friends and clients). In March we flew to Florida for my mom’s beautiful garden wedding. And we met our brand new nephew Christopher! + We spent some quality time with he family and the lazy river pool. We spent Memorial Day in Cleveland for my high school reunion and more family time. Jonathan got sick and had to have his gallbladder taken out. It was kind of gnarly but he bounced back fast. At our house we had #grillfriday (check out pics on instagram) every Friday night all summer. We to learned to grill new foods each week. Everything from steaks, to pizza, quesadillas, bread, cobblers, desserts. With the help of Beth Zeigler / Bneato we totally reorganized our shed (a huge project). We made a huge leap towards being paperless with the help of 1dollarscans and Evernote. I redecorated my studio/office and got rid of a lot of clutter, allowing me a lot more workspace and peace of mind. I painted my floors on the hottest day of the year. Apartment Therapy – we are almost ready for you! October took us to northern California for my sister-in-law’s fabulous wedding at Slide Ranch. We partied all night in a yurt high above the Pacific Ocean. I flew out to Illinois to hangout with my grandparents and pack up slides to be scanned and to prep old films to be digitized. I made a bunch of iTunes slide shows of their old slides set to music. It was so fun to see these images that had been tucked away for so long! This December we made a huge batch of caramels from a recipe my family has been making every Christmas for over 75 years. I grew up helping with the caramels but this was the first year we made them on our own! It was kind of a huge/scary undertaking involving a lot of commercial cooking gear but it worked totally worked. Next year we are going to experiment with flavoring the “Lundeen Caramels of California”. + Thanks to all our friends who rolled up their sleeves and helped wrap caramels! 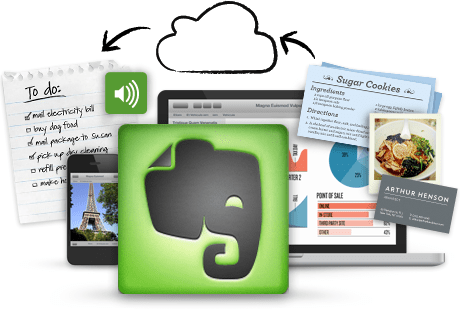 I have been using Evernote for a couple of years, mainly to create drafts of correspondence and to keep track of ideas. I particularly love using it to organize my recipes and web clippings. That being said, I wasn’t really making full use of it, but I did have a premium account ($5.00 a month) that made my documents searchable and gave me more space. As part of our organizing project my husband and I have been trying to move in the direction of being paperless. A few years ago we bought a Fujitsu document scanner, which in theory could be used to scan a lot of our stuff. But the reality is that we have TOO MUCH STUFF and it would take like 2 years of evenings and weekends to scan and organize it ourselves. So — we decided that we need to send out the back log to get professionally scanned. After some online research we started sending off boxes of paper documents each month to 1dollarscan.com in San Jose, California. They scan everything and post documents to an FTP and we download them and organized them on our RAID. This has been working well for us for the last 6+ months. But I was really excited to see that 1dollarscan.com is now partnering with Evernote! So when I mail off boxes of paper documents they magically turn into Evernotes on my computer. It is like MAGIC. I don’t have to do anything! I just drop off the boxes at the post office. So needless to say I decided to double down on Evernote and have been looking for more way to use it to organize my life. Here is one new thing I am doing – I’m using Evernote to organize my Test Garden. I used my iPhone to photograph all the seed packets, both front and back. I can then use the notes to keep track of when and where we planted the seeds and add pictures of the grown plants, harvest, etc.